Here is a free AI powered autocomplete and canned response plugin for Gmail. 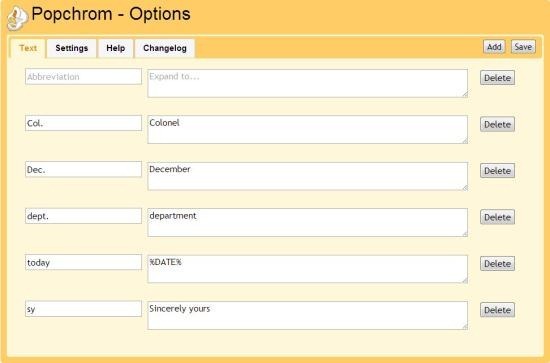 It can help you quickly type emails with the help of predefined suggestions shown to you while composing an email. 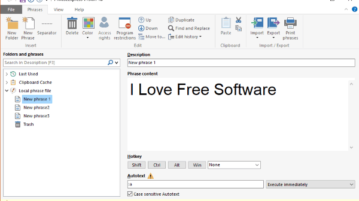 Here you will learn about 5 best free text expander software for Windows. These software are very useful for those who frequently use common phrases while writing anything on PC. 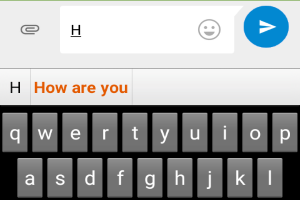 You can create canned text phrases and assign shortcut keys for adding the quickly. 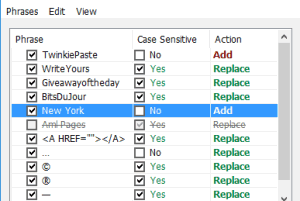 WriteYours is a free text expander software to show how frequently a phrase is used. It keeps the record of every single phrase and shows on its interface. 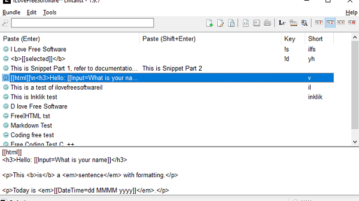 WriteYours (alpha) is a free text expander software. You can add phrases and set custom shortcuts for those phrases to automatically insert them. 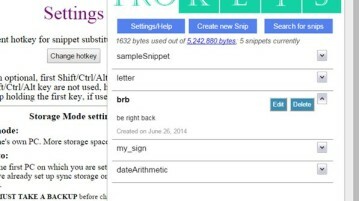 Here’s a list of 3 text expander extensions for Chrome which can be used to setup text snippets that are easily expanded using triggers and keyboard shortcuts. 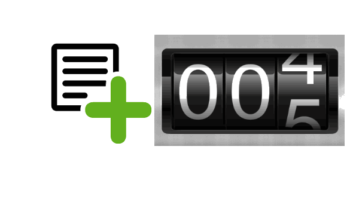 This is a list of 5 best free text expansion apps for Android. Use these apps to set abbreviations for long phrases. Type faster and save time. Popchrom is a free Google Chrome extension that allows you to create abbreviations for words or phrases commonly used, lessening your typing work. Try Popchrom free.